Host your next event at Knead Doughnuts in our unique, modern space. Perfect for birthday parties, special events, office meetings, corporate events, and more. Nestled on the Eastside of Providence, KNEAD offers a unique space to host your next event. With a welcoming, modern decor, KNEAD is easily accessible, offers free street parking and ample space for up to 80 guests. Engagement parties, bridal parties, baby showers, graduations, and corporate events are just a few examples of the events we’ve held. If interested, please reach out, and we’ll get the party started! KNEAD now offers an intimate board room for small gatherings and meetings. Need to get out of the office? Weekly club? 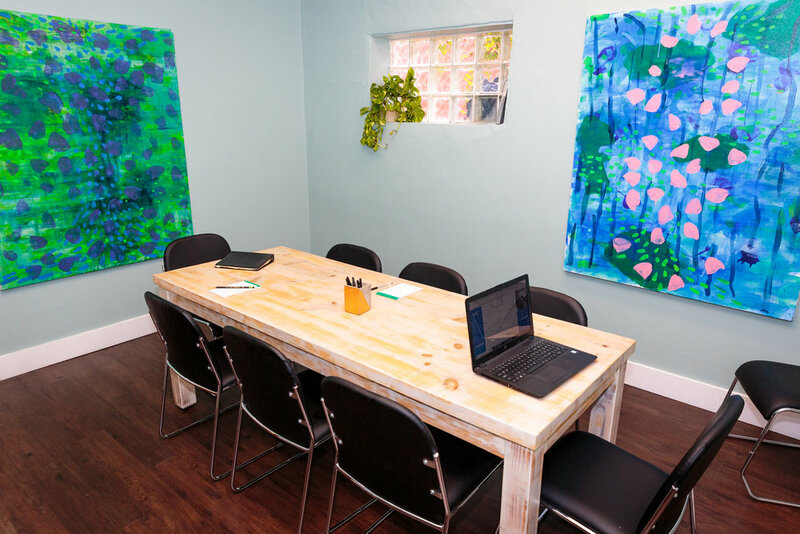 A Professional space to meet with clients? We’ve got you covered. 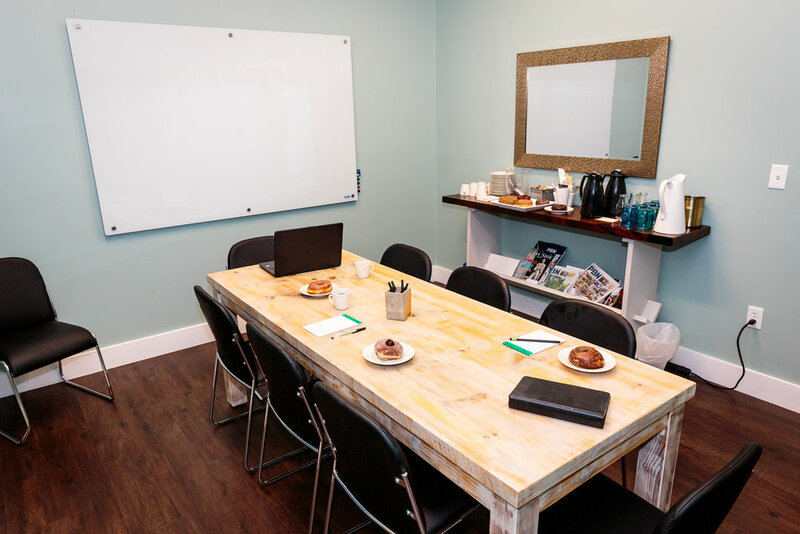 We can comfortably host up to 8 guests in our private room, complete with a donut and coffee bar, farm table, comfortable seating, projector and whiteboard. Please reach out if interested, and we’ll get you on the calendar. Let us host your child’s next birthday party! What could be more fun than a decorate your own donut birthday party! We try to make it as simple as possible for you. Just let us know how many children and parents to expect, and we’ll take care of all the details and planning. Donuts, fresh made butter cream frosting, sprinkles, milk and juice, to go bags, all in a private cozy space. We also offer a decorate your own apron options. Child size aprons and fabric markers provided, so that your little bakers will have the necessary tools of the trade to make a mess! Reach out today with any inquiries and reserve the date. Enjoy your master piece or bring home for later. DONUT DECORATING KITS TO GO!